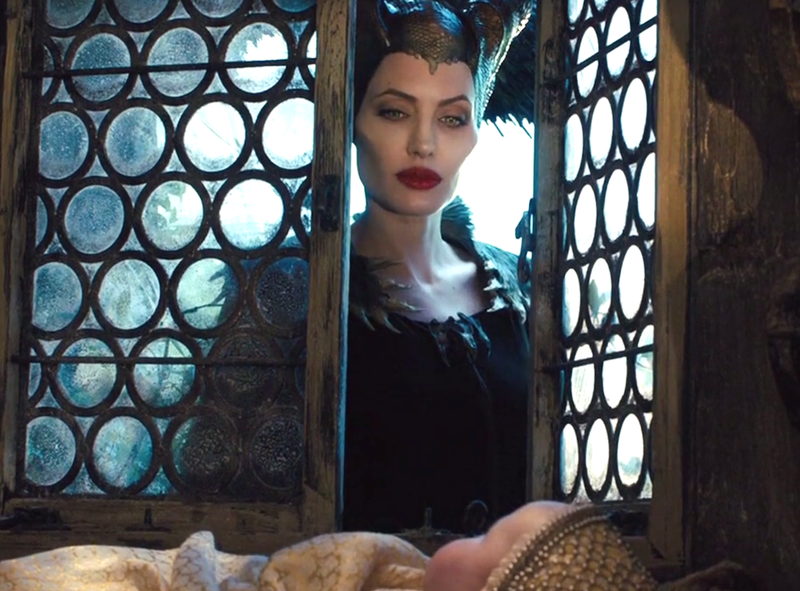 Angelina Jolie’s portrayal of Maleficent has been criticised for not being evil enough. I think people of this opinion have missed the point of the film entirely. Not to say that the film is perfect, because the pace did leave me wanting. But it’s clear to me that, for audiences to buy into the story, Angelina definitely couldn’t look for inspiration for her character from the likes of pre-existing Queens of pure evil. A perfect example being ‘Queen Revenna’ of Snow White And The Huntsman (2012) – wonderfully played by Charlize Theron. No, no, no. Angelina would have to study characters far more complex. I imagine she did because Maleficent is absolutely unlike the traditional evil queen, and that doesn’t make for a lesser film, just a different one. …now, I may be overthinking things since I’m not the film’s key demographic. But nevertheless… with Maleficent being not just a fairy with powers, but ’the strongest of the fairies’, I expected that she would have the means to regenerate her wings. And if she couldn’t do this, I imagined she would at least use her magic to locate the wings – once she’d used the same special powers to learn that her wings had not been completely destroyed. Am I alone in this? I certainly have no regrets at all about watching the film. The difference was refreshing. Plus, I LOVE Angelina Jolie! She could almost lead me anywhere. Probably. Can sleeping be comfortable with cheekbones like that?